SSD leaders believed that increasing the coaching efficacy of special education Site Administrators would enable all staff who contribute to IEPs to act upon actionable coaching feedback thus allowing them to write quality standard-based IEPs that address specific student needs. Scott Crooks and Amber Del Gaiso collaborating at Goalbook HQ to design a solution for a suboptimal IEP auditing process for Special School District of St. Louis. Amber Del Gaiso and Scott Crooks, district leaders from Special School District of St. Louis, used multiple data points to conclude that there was a clear connection between the quality of SSD’s IEP goals and students’ impeded access to the general education curriculum. This ultimately resulted in students having limited access to postsecondary opportunities. They came to Goalbook’s Leadership Design Institute to get to the root cause of why the IEP process wasn’t working for SSD students. They did so using the design thinking process used in many industries to solve design challenges. 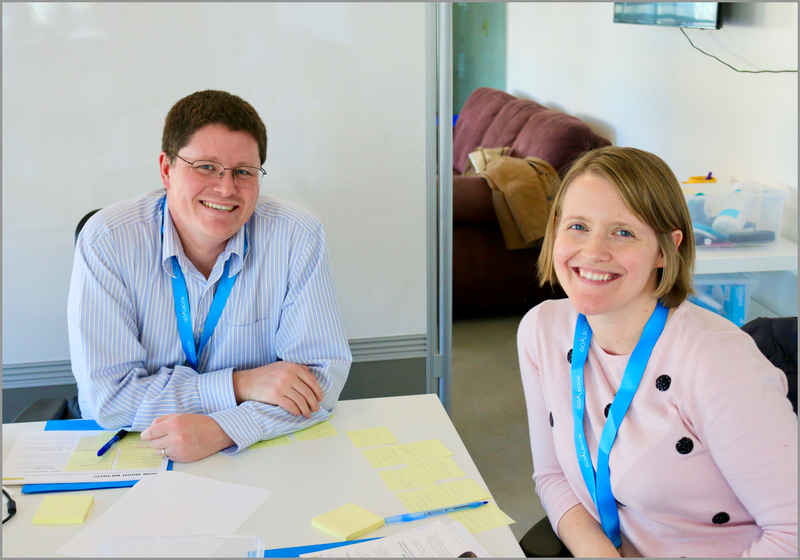 Goalbook’s design facilitators walked Amber and Scott through each step of the process: Empathize, Define, Ideate, Prototype, and Test. The beginning of their design journey was analyzing the touch-points between SPED Teachers and SPED Site Administrators to paint a mental image of how the process for quality checking IEPs currently worked. In their reflection, they recalled instances where teachers reached out to SPED Site Administrators for feedback and vice versa. In both cases, information pertinent to changes that should be made was exchanged. The issue then was not connected to whether or not feedback channels were in place, the issue was there were no clear guidelines around how the feedback was being communicated and what expectations were on teachers for implementing changes once they received feedback. SPED Site Administrators across the district were following a loose set of guidelines and engaging in extemporaneous interactions that weren’t doing enough to improve teacher practice around drafting goals. Teachers weren’t lacking feedback or a desire to improve IEPs and most of the SPED Site Administrators were knowledgeable of what improvements needed to be made to instructional plans. What teachers were lacking was proper guidance on how to implement the feedback they were receiving. What SPED Site Administrators were lacking was a standardized way to communicate and deliver critical feedback on how to draft rigorous standard-aligned IEP goals. Discovering this was groundbreaking for Scott and Amber because it revealed to them the aspects of the original implementation that needed to be shored up. 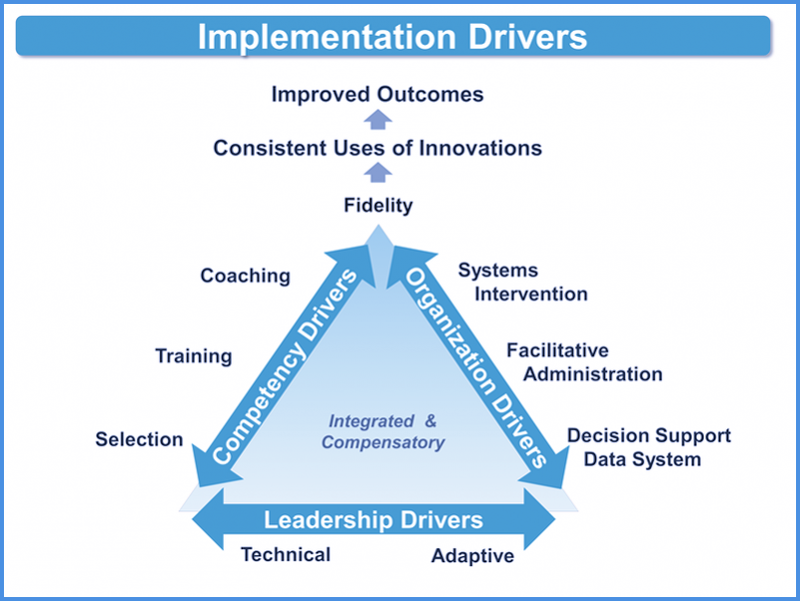 Another critical element of LDI is a focus on Implementation Science and the interaction between the drivers that support a healthy implementation: Leadership, Competency, and Organization. Amber and Scott originally assumed the aspects of the process they’d be overhauling were mostly concerned with the implementation driver of Organization specifically Systems Intervention, in that, the source of the problem had more to do with a lack of systems than execution. They discovered their challenge was really about a disconnect between the implementation drivers of Competency and Leadership. If teachers were to develop the competency to produce high-quality IEPs then they needed target coaching around it. This meant that SPED Site Administrators needed to adopt a technical leadership style that would allow them to prioritize who needed coaching, defining clear goals, and delivering actionable feedback. Scott Crooks describing the design process starting with the empathy story and ending with a viable prototype. They moved away from focusing on creating a new auditing system and focused on augmenting the current one. They baked in elements that facilitated increasing teachers’ competency with drafting IEPs by giving SPED Site Administrators a framework to exercise technical leadership. Amber and Scott’s prototype solution was a protocol for auditing IEP’s that Site Administrators would use to give consistent feedback across the district. Additionally, they incorporated the use of a standardized goal rubric that clearly defined a criteria for success thus making feedback actionable. Coaching is about the continuous development of habits and skills in order to produce a desired outcome. Using a standardized rubric provided the language and expectations of the outcomes that SPED Site Administrators wanted to see. Building in purposeful touch points using the rubric as an anchor gave them the opportunity to help develop the skills teachers needed to reach those targets. 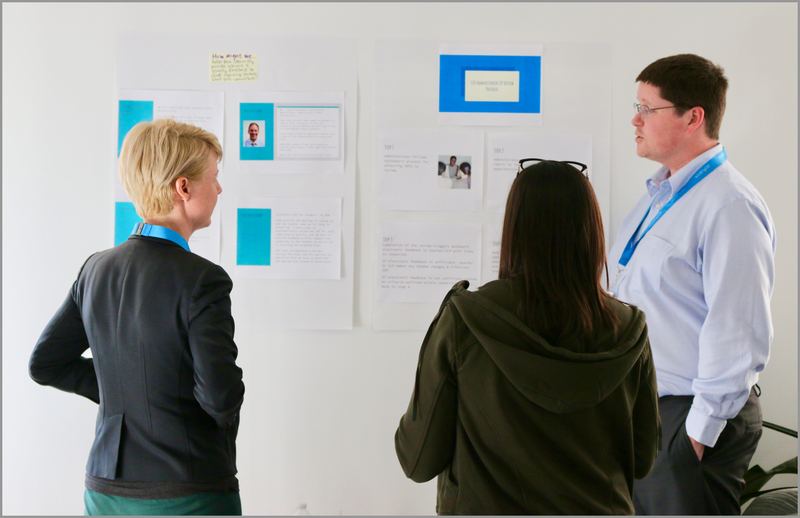 The work that Amber and Scott did at LDI represents the power of Defining the Problem, which is the second step in the design thinking process. Pinpointing the root cause of their challenge, a need for coaching, led them to a lightweight solution that was practical and actionable. Read about how some of our other partner districts are solving complex challenges in their communities! Goalbook’s annual Leadership Design Institute (LDI) is a conference for district and state-level instructional leadership teams held each winter. Our upcoming conference is the Goalbook User Symposium (GUS), which will be held in New York City in July. Registration information can be found on this page.